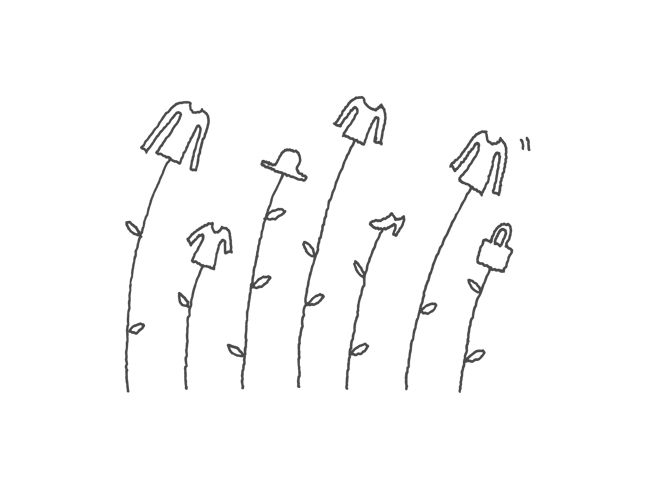 Based on the concept of the Japanese convenience store, 24 ISSEY MIYAKE shops combine inexpensive prices, a large variety of colours and frequent changes in product lineup. 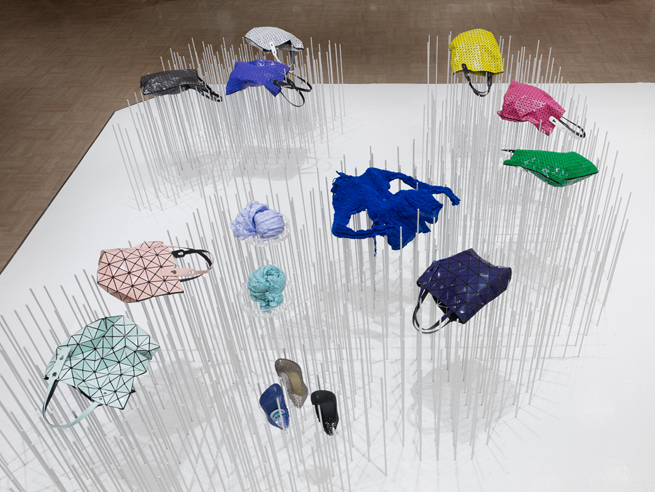 The Miyake team wanted a new design concept for the 24 Issey Miyake shop in Shibuya’s Parco shopping complex, which includes a store that specially features Miyake’s new Bilbao bag. The Bilbao bag has no set form. Instead, it settles depending on how it is placed. To match the bag, we abandoned the standard hard, flat and smooth fixtures found in most shops, and created a set of variable-height fixtures made of thin steel rods that stand like a field of prairie grass in the shop, with a similar vague, undefined shape like the bag. Shelving and hanger rods are also made of steel rods, in the 7 mm diametre common to all of the 24 Issey Miyake shop interiors. 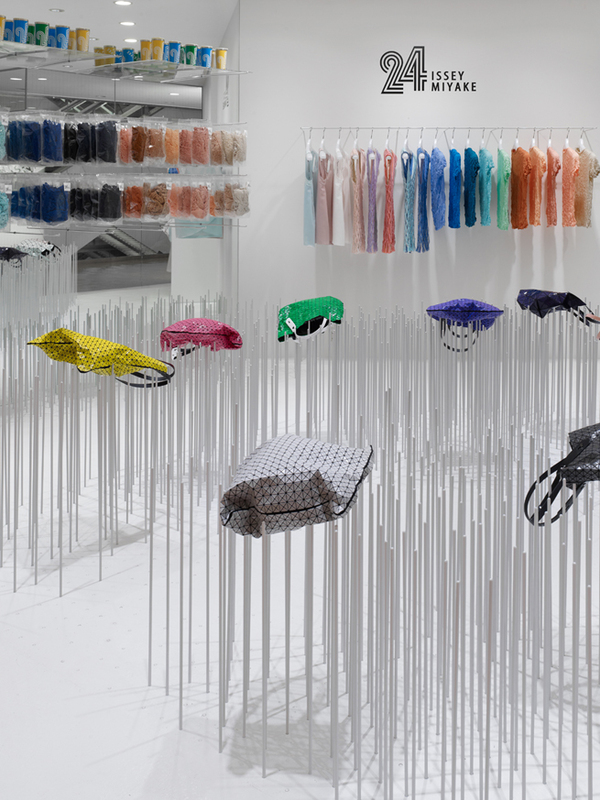 Supported by ‘points’, rather than by surfaces or lines, the bags seem to waft in the air like flowers in a light breeze, creating the illusion of a field of flowers in the store.